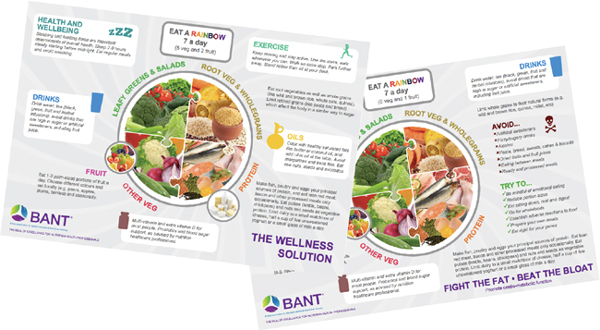 Welcome to the October issue of BANT ENews, this month’s feature article focuses on nutrigenomics and the launch of the BANT Nutrigenomics Learning Zone Module. Alison Benbow, MSc.DipCNut. RNT, provides an outline of the Nutritional Therapy Education Commission (NTEC) and University of Worcester research project collaboration, whose aim was to understand qualified practitioner profiles. The PPC provides useful information on BANT practitioner obligations regarding clients with poor mental health. Access the BANT news here. This issue looks at life after studying through the webinar on the use of social media once you qualified. There’s also a conference review and resulting stress alleviating smoothie recipe. The webinar is free and exclusive to BANT student members! Click here to book your place or e-mail Alma at studentwebinars@bant.org.uk by Friday 27th October 2017. If you’re looking to run your own business in nutrition once you’ve qualified, digital marketing will be an important tool to increase your exposure and ultimately bring in new clients. There will be so much to consider from the outset. Creating a website, engaging on the various social media platforms and writing digital content are all key in effectively doing your own PR and if you don’t have experience, this can be a difficult place to start. This webinar will guide you and discuss May’s strategy and approach since she qualified with her MSc in 2014 from CNELM. There will be a chance to ask questions at the end of the webinar. If you would like to ask May any questions prior to the webinar, please go to www.linkedin.com/groups/BANT-Student-Members-Group-4061266. Last weekend I went to the London County Hall for the Cytoplan conference on stress. The day started well as I was greeted with my choice of gluten-free, dairy free breakfasts in the beautiful venue. There were a couple of fellow students from CNELM there as well as practitioners from other fields such as the 2 physiotherapist at the table. The morning presenter was Dr John Briffa, conventionally trained medical doctor who’s practice holistic medicine for the last 20 years and was a funny and engaging speaker. He focused primarily on the HPA axis, addressing areas such as sleep, diet and breathing as ways to improve symptoms of ‘adrenal fatigue’. Personally, I would have been happier if he’d discuss it as HPA axis dysregulation, but the outcomes are likely to be the same. He touched on supplementation with adaptogens including withania sommnifera (ashwagandha), vitamins including C and B-complex, minerals including magnesium and other nutrients. Lunch was several delicious gluten-free options served with a variety of vegetable and salad options, collected in stylish bento boxes. The afternoon speaker was BANT chairman Miguel Toribio-Mateas who focused on the pillars of brain health, which included quality sleep, a healthy diet, regular exercise and stress management. Another excellent, engaging speaker he was able to draw on his experience as a yoga teacher, experimentation with various diets, clinical experience and current research to substantiate his presentation and provide anecdotal examples. He also touched on supplementation with adaptogens including ashwagandha and the nootropic bacopa monnieri (brahmi), key nutrients for mitochondrial function (including vitamin C, magnesium, folate, vitamins B6 and B12) ideally from dietary sources and the importance of a wide variety of vegetables to provide fibre for optimal functioning of the gut-brain axis. Both presenters discussed possible tests that could be used with pros and cons so plenty of food for thought for the future. Overall it was a great day, full of excellent information and a fantastic opportunity to connect with other nutritional therapists that I’d previously met at BANT Local Network meetings and Functional Forum Meetups. One thing that was slightly annoying was that the presenter’s slides didn’t match delegate packs, but we were sent soft copies of the slides after. Also it would have been nice to have received a video recording of the event, as is provided after IHCAN conferences, there was so much information that I wasn’t able to note down. Having said that it was great value for money and thoroughly enjoyable so I’ll definitely be looking out for future Cytoplan conferences! Based on nuggets gleaned from the conference, what I had to hand and the fact it was national chocolate week last week I created the following creamy, chocolatey, minty, stress busting delicious smoothie. I hope you enjoy it as much as I have every day this week. For more of a meal and increased nutrient density add a handful of green leaves such as kale or a pak choi to the mix and serve with a couple of tablespoons of yoghurt of your choice and berries. The focus of this issue is thinking, something we probably spend our time doing as students! Here we review a critical appraisal course, look at an option within BANT where we could practice our critical appraisal of research, touch on Alzheimer’s disease, the loss of thinking ability, there’s the option to listen again to Laura’s thought-provoking discussion of SIBO and some other nuggets. Last week one of the BANT student team and 2 other students went to the Royal society of mediçine for a day of learning how to critically appraise research, useful for keeping up to date with current research and finding strong evidence to support our future recommendations. Initially it was slightly intimidating being in a room full of doctors, registrars and medical students but nobody look down on us, we were all there to learn. We learnt a reliable approach to the evaluation and appraisal of published clinical research papers and to consider the principles that underlie randomised controlled trials (RCTs) and realise how they could be subverted by poor design and execution. Everyone I spoke to found it and extremely useful day, definitely something that will be extremely useful for hr dissertations and future practice or whatever nutritional career we choose to go into. The next one is running Friday 24th November, details can be found here. One thing that came up in the critical appraisal day was that the best way to hone your critical appraisal skills is to practice. B ant have volunteering opportunities available for indexers within the centre of excellence where you will contribute towards the nutritional evidence database. Volunteers will be required to critically appraise reliability, accuracy and validity of research papers. More details and how to apply can be found here. Alzheimer’s disease, an inexorable decline of cognition, is an incurable condition of old age that many fear. However, you may have heard Dr Dale Bredesen talking about his research on Alzheimer’s disease. It has identified metabolic factors that may be imbalanced in Alzheimer’s disease and has developed a proven program of nutrition and lifestyle elements that could be followed with the help of a healthcare professional ( i e nutritional therapist) to improve cognitive health. A short interview can be seen with Dr Dale Bredesen here. The ReCode program is outlined in his book, The end of Alzheimer’s. Post your thoughts, comments or reviews on the Dr Dale Bredesen thread on our LinkedIn page. Students get a 20% discount off the normal price (£50), £40 for students. Join one of the student network team to learn about stress resilience, a requirement for studying! In this conference on Saturday Dr John Briffa and Miguel Toribio-Mateas will explore evidence-based clinical nutrition and lifestyle approaches to manage stress, promote resilience and support neuroplasticity. This exciting education day has been designed with health practitioners in mind who follow a functional or whole-person approach and who provide their patients/clients with lifestyle and nutrition “prescriptions”.